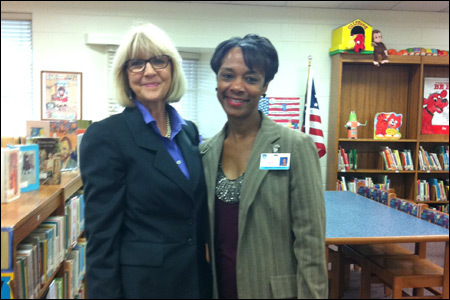 On February 21st, Attorney Beth King (pictured here with school counselor Jewel Johnson) participated in the Tomoka Elementary School Career Day Event. Ms. King, a five year veteran of Career Day, follows in the Rice & Rose tradition established by Senior Partner Paul Rice, an annual presenter while his three children attended school there. Doctors, Chefs, Judges, Police Officers and Pilots were among the careers featured this year.